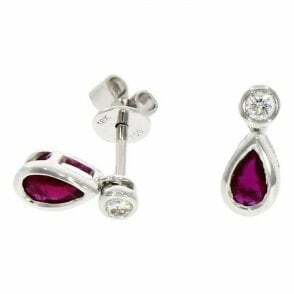 18ct white gold cluster drop earrings set with two rubies on each earrings with diamond surround. The oval rubies 1.03ct and round rubies 0.30ct. Diamonds have a total weight of 0.47ct.